According to media reports the I-T department recently discovered a scam where companies deducted TDS (tax deducted at source) from its employees but did not deposit it with the government. So what is TDS and how can you check if the TDS deducted by your employer is actually going to the government? 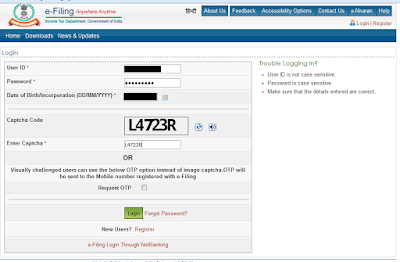 You need to view your Form 26AS online in order to do this. TDS stands for Tax deducted at source. According to the Income Tax Department guidelines, a person or an organization that makes payments such as salary, commission, professional fees, interest, etc. needs to deduct a certain percentage of tax on behalf of the IT department before making payment in full. Now let us understand this concept with an example assuming that a company is paying salary to an employee and deducts TDS as per law. Let’s assume that ABC Ltd pays Rs. 40,000/- per month to an employee who falls in the 10% income tax bracket. So ABC Ltd. will deduct a tax of Rs. 4,000/- and make a net payment of Rs. 36,000/- to the employee. The amount of 4,000/- deducted by ABC Ltd will be deposited with the IT department. So how can you check if the TDS deducted by your employer is actually going to the government? You will need two documents in order to do so. Your salary slip and Form 26AS. The tax deduction in the salary slip should match the data in your Form 26AS. 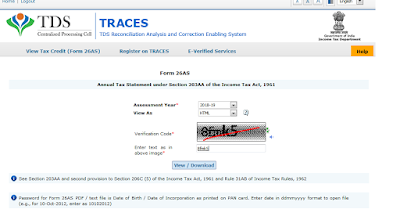 Form 26AS is the annual statement in which the details of tax credits are maintained for each taxpayer as per the database of Income-tax Department. 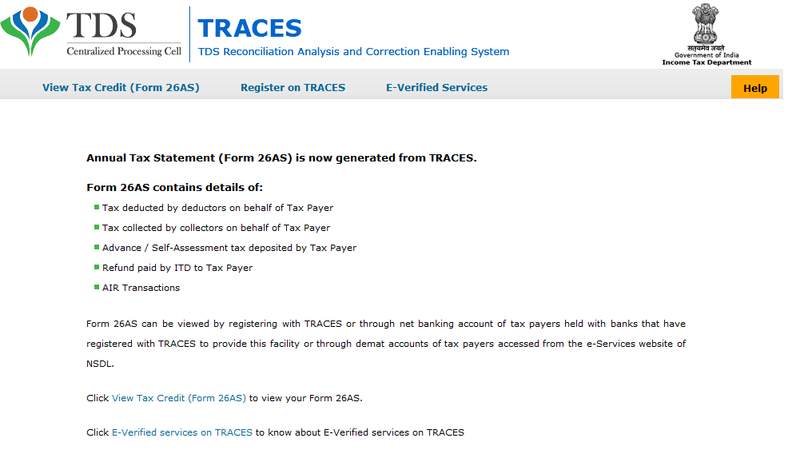 Part A of the Form 26AS helps you view of all financial transactions involving TDS during the relevant year at one place. 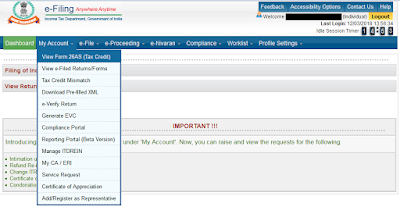 You can view Form 26AS online using two methods. 2. View your Form 26AS online using the net-banking account of the following banks. You can View Tax Credit Statement (Form 26AS) only if your PAN number is mapped to that particular account. 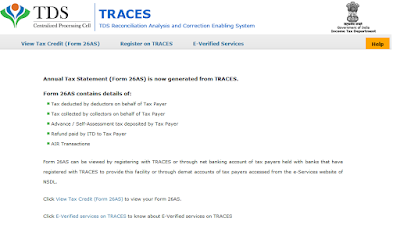 Hope that your TDS details in Form 26AS match with the tax your company has deducted from your salary. 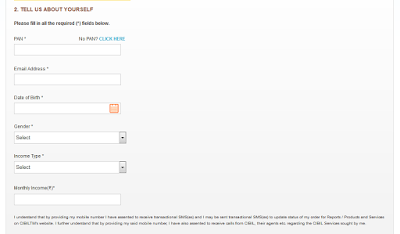 In my next post I will explain how you can download/view your Form 26AS from two of the largest banks – SBI and ICICI. 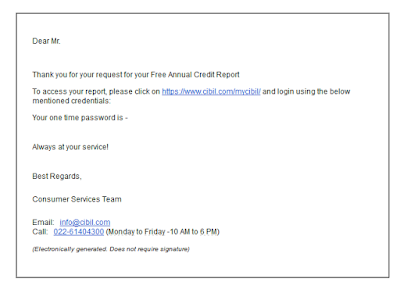 As I mentioned in a previous blog, the Reserve Bank of India (RBI) has mandated that that effective January 1, 2017, all Credit Information Companies (CICs) shall provide access, upon request and after due authentication of the requester, to a free full credit report (FFCR) once in a calendar year to individuals whose credit history is available with the CIC. 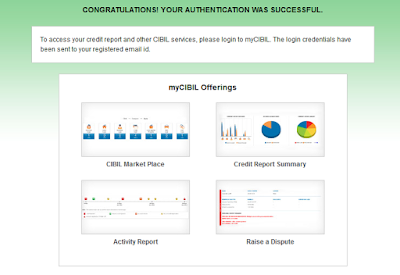 In that blog, I had listed the steps needed to get the report from CIBIL using snail mail. 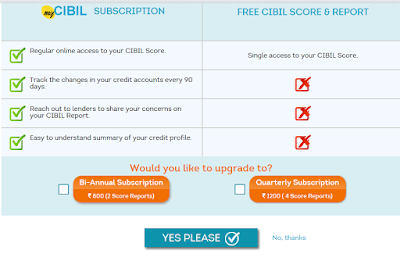 This blog will help you get your free credit report from CIBIL India online. Enter the following details and click on 'Submit'. Step 2: You will have to enter your address details next and submit again. 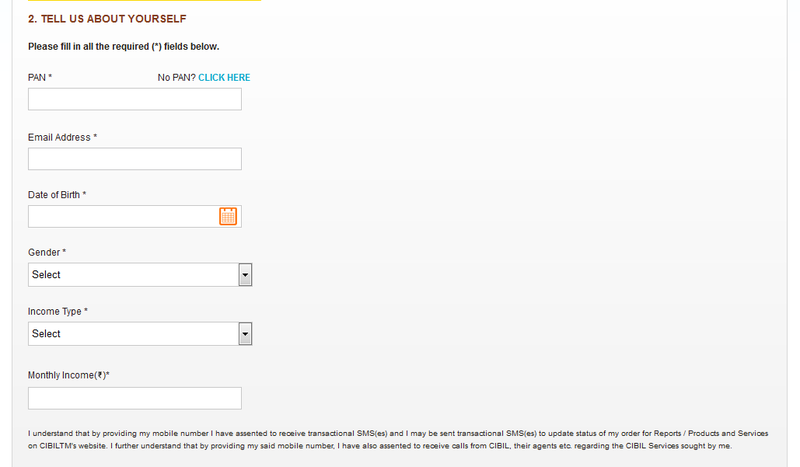 Step 3: You will be send to a page which asks you to subscribe to the reports. Click on ‘No Thanks’ since we want a free credit report. 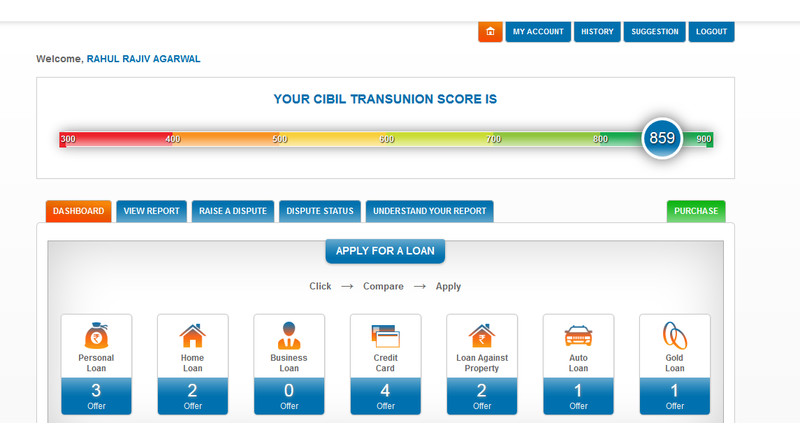 Step 4: You will be sent to a page in which you will have to enter some details about your existing loan, credit card, etc. 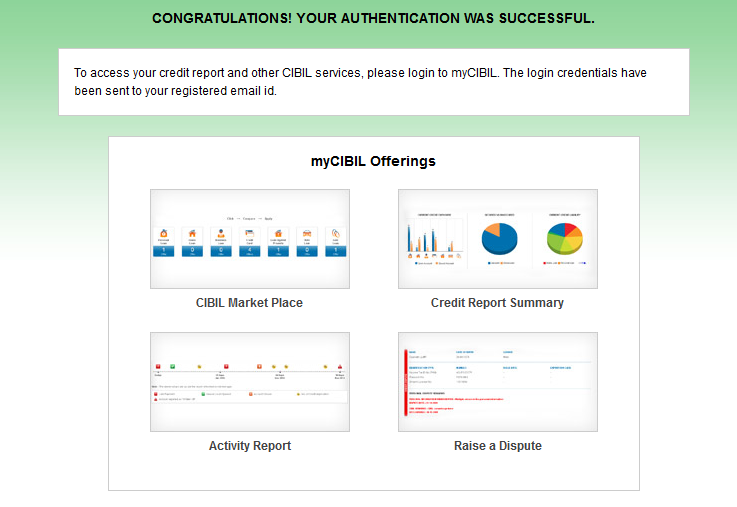 Since my details were already available with CIBIL I got the following screen. Step 5: You will receive an email with the login password. 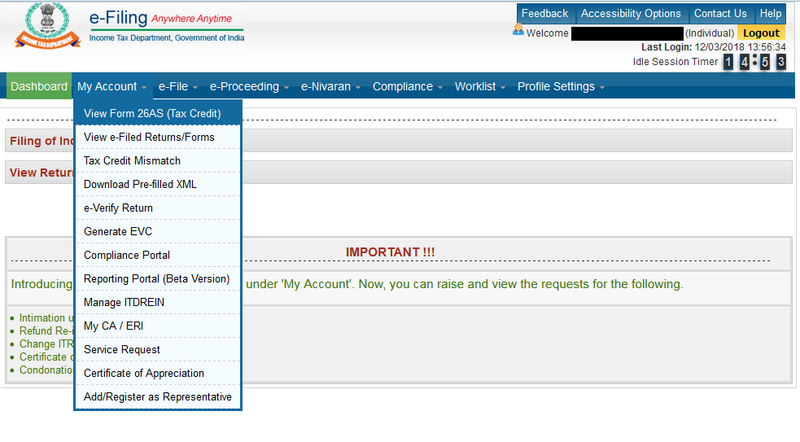 Step 6: Enter your email id and the login password that you have received in your email. Step 7: You will be asked to choose a new login password. 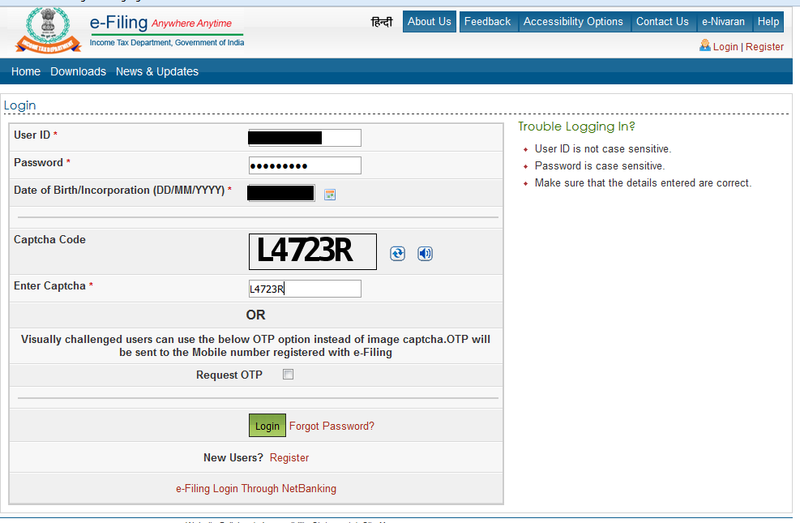 Step 8: Login with the new login password and check your personal details again. 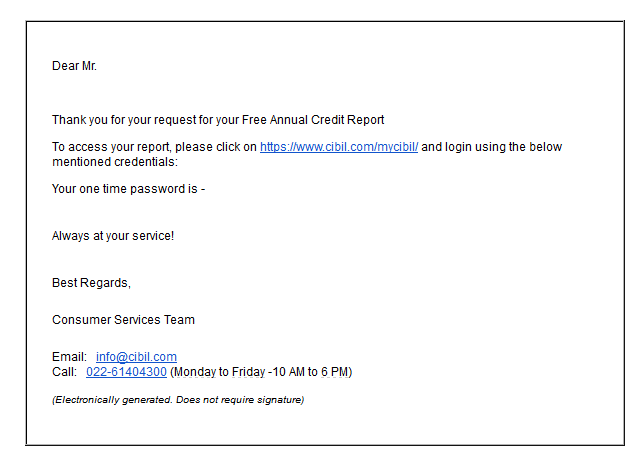 Step 9: On submitting your details you will get your credit report. 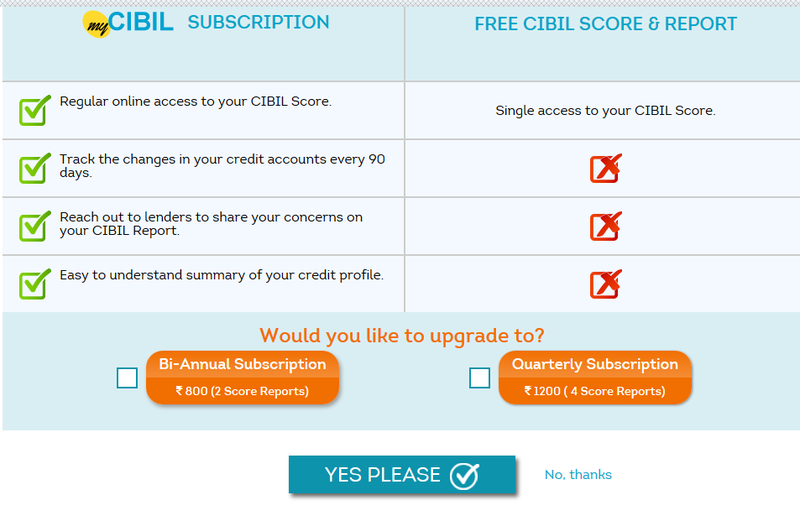 It is very easy to get your free CIBIL credit report online now. Just follow the steps to know your score. Remember, you will get access to a new report every year so make use of this wonderful facility. Diwali is around the corner. It's a time of celebration. At the same time it can be a big drain on your finances if not planned properly. Here are a few tips and tricks to save money during your Diwali shopping. Use credit cards. As I have mentioned time and again, spending using credit cards is a great way of saving money as you will not only earn loyalty points but can also avail cash backs and promotions that may be running. Plan so that you can make bulk purchase and avail more discount on sweets, gifts and so on. These purchases can be either from supermarkets or wholesale stores. Avoid last minute rush. As Diwali nears everything is costlier, so avoid buying at the last moment, it will save you a bomb. Use online discounts. Use the upcoming online sales to plan and buy. You can get some good discounts. But beware, don't buy because you are getting a deal, buy because you need it. Make a list to avoid unnecessary purchases. As stated earlier, we sometimes give in to our temptations, especially when it is perceived as a bargain. Ensure that you buy what you need. Do it yourself. This is one the best ways not only to save money but to bring that personal touch to your festival bringing family together, be it making decorations, diyas or sweets. So follow these thumb rules and add sparkle to Diwali without bombing your pocket. I was reading an article in mint about the spending habits of Indians. It talked about why Indians find it hard to spend their money. I believe that culture has a big role to play in this behavior. We are known as savvy savers and one who would squeeze the worth out of every penny. And boy do I take pride in this comment/compliment (depending on one's point of view). In a study it was found that 75% of Americans would be unable to arrange an emergency expenditure of 500 dollars. By contrast a much higher number of Indians would be able to do so (there is no number to show here but my experience says most of those around you would somehow manage the number if required). In other words they may live in comforts better than ours but their existence is hand to mouth. As years are passing we are incorporating this culture of consumerism in our daily lives. Whether it is buying more clothes or changing gadgets (including mobiles, cars etc.) frequently we are more and more getting inclined towards consumerism (I have known people who have spent money on mobile equivalent of their one month salary). Though we still seek value for money / deals (data of sale season revenue of popular online sites would convince you of the same), but in my opinion this habit will not survive another generation. There is no denying that, opening of the Indian economy in 90's changed the economic landscape of India. It brought more jobs and wealth to India and made moving the social classes upwards easy. Jared Diamond (in his book- Guns, Germs and Steel) would tell you that any culture or economy that will not adapt will ultimately perish away. The whole point here is while it is worthwhile to spend and enjoy your money, at the same time it is worthwhile and prudent to save. A balance with culture of saving is required so that we are not engulfed in culture of spending. You must be wondering that till now I have mainly talked about insurance and products with fixed returns while maintaining a silence on mutual funds and stocks. I would like to justify my stand. I am not a financial advisor but a person who shares his experience with readers. All my blogs till now have been products that I have used/ using and am sure can help others understand them better. I have given solutions to problems that I have myself faced as an investor/ customer/ financial services user. I am investing in mutual funds and stocks but despite choosing them to best of my knowledge my returns have been unsatisfactory. Till I figure it out as an investor I would keep myself away from giving any advice on these instruments. Till then I hope I bring you the knowledge that I gain everyday as an everyday person trying to manage his finances. Any Indian citizen above age of 60 years can enroll for this scheme. No upper limit for age. What is the policy term? The policy tenure is for 10 years. The scheme can be bought online or offline from LIC, which is the sole operator of the scheme. There is an assured return of 8% per annum. The policyholder can get a minimum pension of rupees 1000 per month or a maximum of rupees 5000 per month. The pension is for whole family and includes policy holder, spouse and dependants. The corporation is authorized to all for life certificate 'Jeevan praman' from time to time for further releasing pensions to policy holders account. Mode of payment can be monthly quarterly half yearly or early based on the option chosen by policy holder. The payment will be made through NEFT or Aadhar enabled payment system into the account of the policy holder. Premature withdrawal is allowed for treatment of any terminal or critical illness for self or spouse. 98% of the invested value ( surrender value) will be refunded in such cases at policy holders request. Proof of age, if the age is not admitted earlier. In case of death (including suicide as cause of death) of policy holder the invested amount would be returned in full to the nominee. On maturity that is after 10 years of policy completion final installment of pension along with the original amount invested would be returned to the policyholder. Where a policyholder dies after the maturity of the policy but the proceeds and benefit of his policy has not been made to him because of his death, in such a case, his nominee shall be entitled to the proceed and benefit of his policy. A facility for loan on the amount invested is also available after 3 years. Loan upto 75% of purchase price shall be allowed (to meet the liquidity needs). Loan interest (presently @10% per annum) shall be recovered from the pension installments and loan to be recovered from outstanding proceeds at the time of exit. If it is found that the policy holder is un-insurable due to terms and conditions of policy then the policy would be cancelled and surrender value will be paid as on the date of such cancellation. The proceeds from the policy are taxable in the hands of the policyholder commensurate with their tax bracket. It is however exempted from GST. If a policyholder is not satisfied with the the policy, he/she may return the policy to the corporation within 15 days (30 days if this policy is purchased online) from the date of receipt of the policy stating the reason of objections. The amount to be refunded within free look period shall be the purchase price deposited by the policyholder after deducting the charges for Stamp duty and pension paid, if any. The Corporation has Grievance Redressal Officers at Branch/Divisional/Zonal/Central Office to redressgrievances of customers. 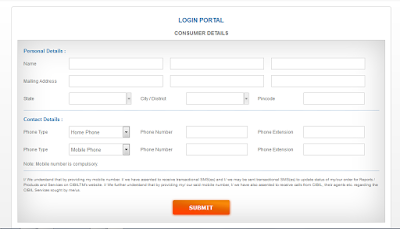 For ensuring quick redressalof customer grievances LIC has introduced Customer friendly Integrated Complaint ManagementSystem through their Customer Portal (website) which is http://www.licindia.in, where a registered policyholder can directly register complaint / grievance and track its status. 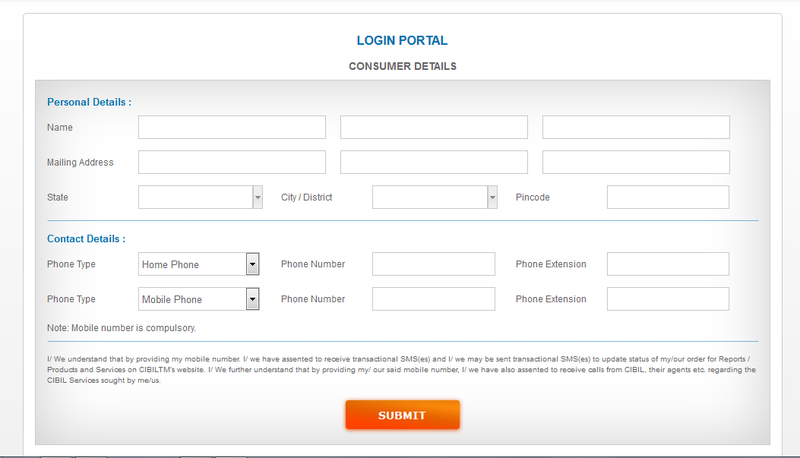 Customers can also contact at e-mail idco_crmgrv@licindia.com for redressal of any grievances. Hyderabad – 500 029, Andhra Pradesh. Claimants not satisfied with the decision of death claim repudiation have the option of referring their cases for review to Zonal Office Claims Dispute Redressal Committee or Central Office Claims Dispute Redressal Committee. A retired High Court / District Court Judge is member of each of the Claims Dispute Redressal Committees. For redressal of Claims related grievances, claimants can also approach Insurance Ombudsman who provides for low cost and speedy arbitration to customers.